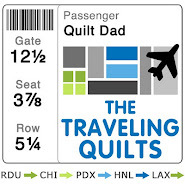 Quilt Dad: ALQS Quilt Received! I just realized that it's been a couple of weeks since I received this beautiful little quilt from Kate's Another Little Quilt Swap and I've been remiss in publicly thanking Solidia for making it for me (I did thank her privately as soon as I received it). 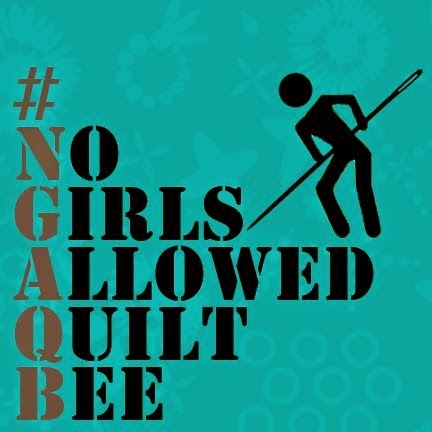 ALQS was my first quilt swap and everyone welcomed me with open arms. You might even say it was my "gateway drug" into the world of swapping. I had a great time and hope to participate in the second round. It hasn't been announced yet, but if you want to play be sure to bookmark this site. Thanks again for this great little quilt, Solidia. It will have a very happy home here! That one's a cutie for sure. I love the way she quilted the stars into the border and the red star fabric on the back. Lucky you to receive such a nice swap.